Last year’s hugely popular New York Jazz All Stars series, sponsored by the Universidad de Guadalajara in conjunction with Jazz at Lincoln Center, continues through the end of November, with nine performances and related workshops scheduled (there’s a recess July and August). 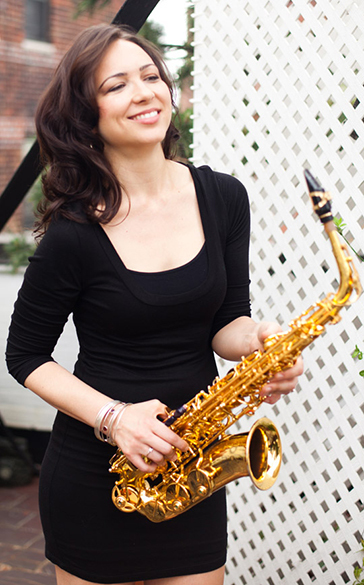 Coming up on Thursday, April 14, 8:30 p.m. is the Sharel Cassity Quintet. A rising star saxophonist, composer and bandleader from Yukon, Oklahoma, Cassity began playing saxophone at age nine. She attended the New School for Jazz & Contemporary Music followed by a full scholarship to the Juilliard School for her Master’s degree. She has two albums out as a leader, and has appeared at venues such as the Kennedy Center, Lincoln Center for the Performing Arts, the Blue Note Jazz Club, the Iridium, the Newport Jazz Festival and Dizzy’s Club Coca Cola. Besides performing with her own band, Cassity is currently a sideman with some of the most renowned jazz artists today including Jimmy Heath, Nicholas Payton, Joe Chambers, Orrin Evans, the Dizzy Gillespie All Stars, Darcy James Argue and Diva. May 12: Clarence Pen and Penn Station.